No trip is complete without some nail polish shopping (okay, no trip is complete without some shopping in general), and I recently returned from Walt Disney World with a handful of new polishes. (To see the “handful”, check out the picture I posted over at the PhD in Polish Facebook page.) The Disney Parks sell their own line of cosmetics under the name “Beautifully Disney”, mostly themed around princesses and villains. I ended up buying the “Fantasy in Flight” set of mini nail polishes that are themed around the Disney fairies. As far as I can tell, they’re referring more to the old school fairies (Tinker Bell from Peter Pan and the Blue Fairy from Pinocchio), more than the new ones (there are new ones, right?). 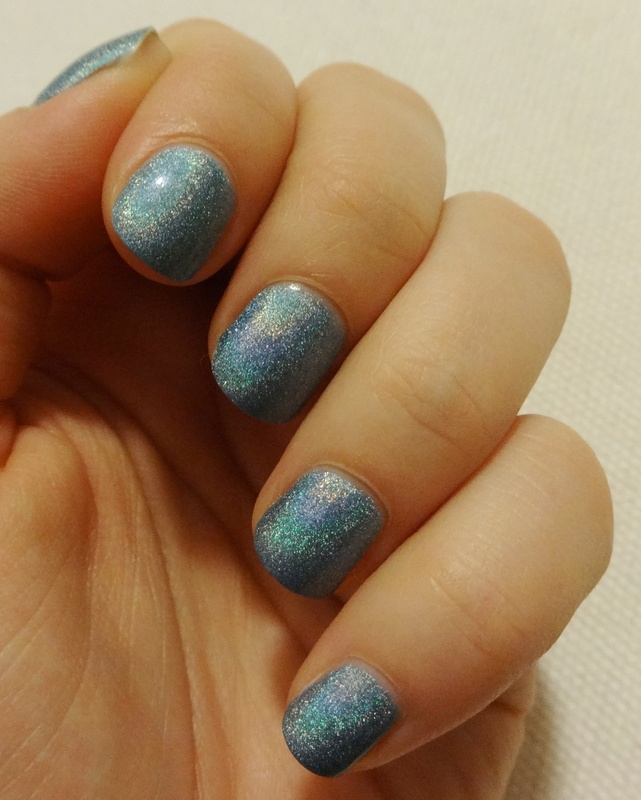 When I first saw “Wish Come True” in the package, I just thought it was a sort of blah blue sparkle, but when I swatched it on a nail wheel, I was totally blown away by amazing holo. I don’t even like baby blue, but this guy hit me right in the feels. 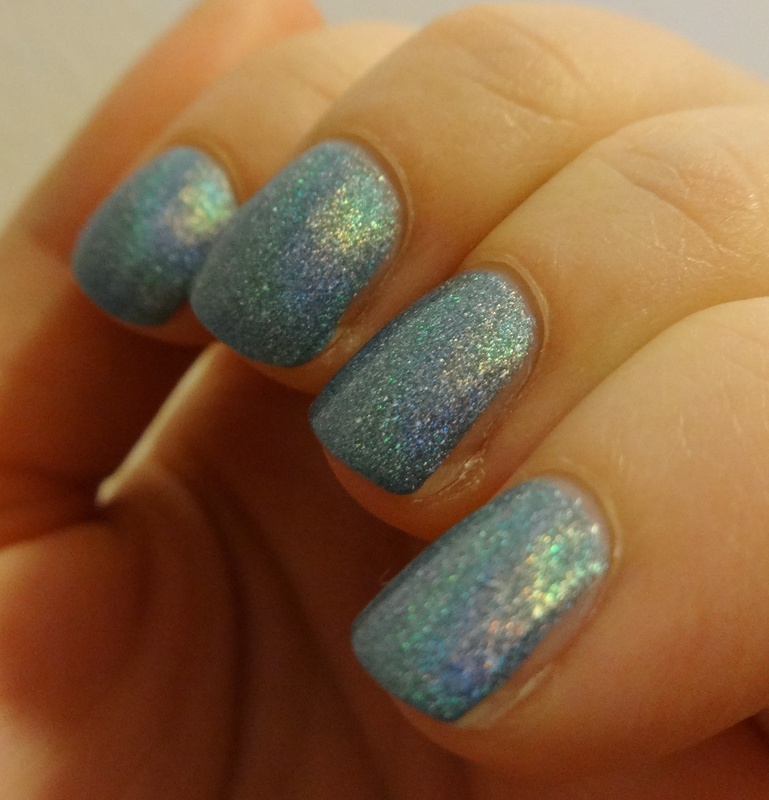 Not only is there a lovely holo, but there are also slightly larger, irregular holographic bits that add extra sparkle and depth for that coveted lit-from-within glow. 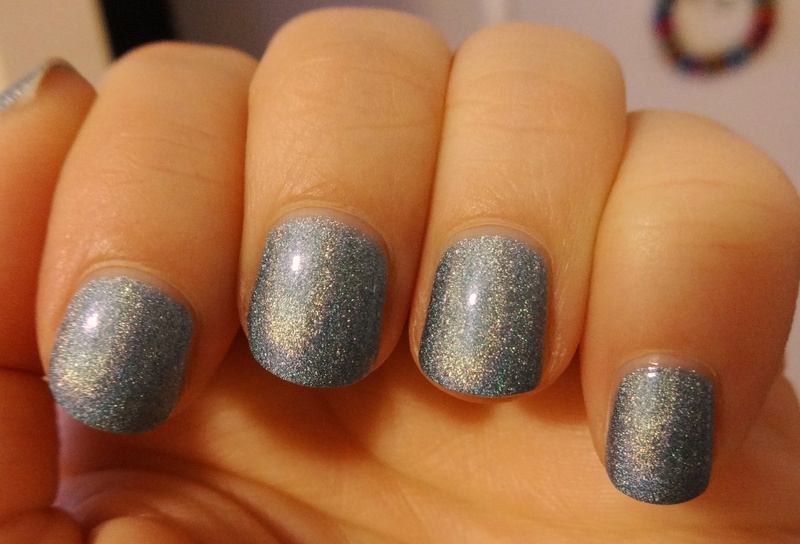 So, swatching wheel in hand, I rushed to go paint my nails…and that’s pretty much where the fairytale ends with this polish. It was an absolute beast to apply (all Disney puns intended). It went on thick and sloppy, not even tidy enough on the first count to be called “patchy”. Maybe it hit “patchy” on the second coat and “acceptable” by the third. Still, it refused to just be painted on normally with the brush and I had to glob it on and push it around to get it looking nice. But when I finally got it on and topcoated into submission, it was so pretty that I forgave it for all its faults and just sat there admiring my hands. 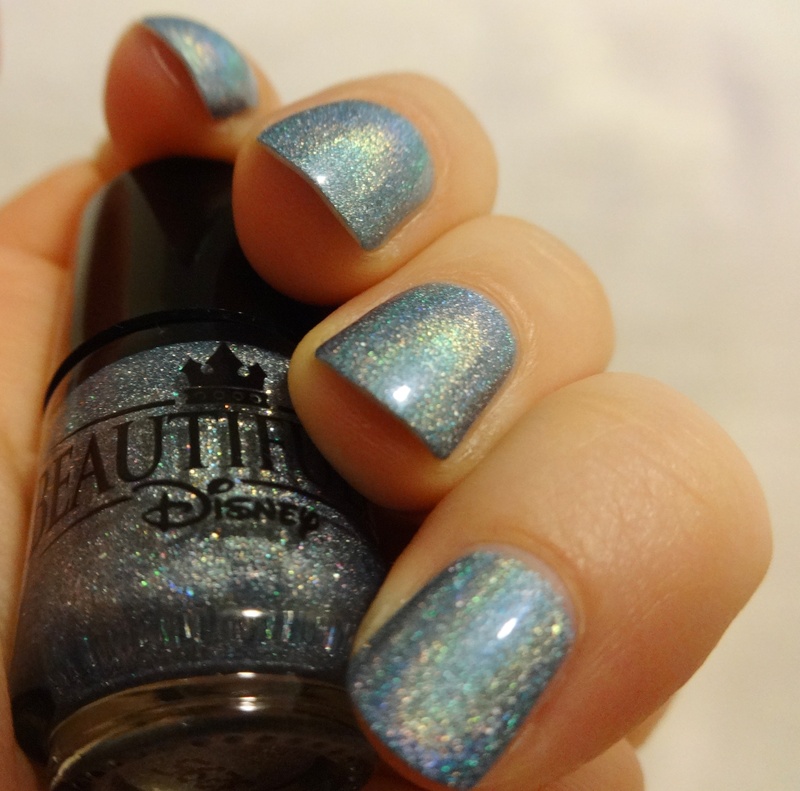 If my some miracle, you find yourself in need of this polish, you can get it either on your next vacation, or online at the Disney Parks Store. You could also roll the dice and get the whole mini set, although they’re awfully tiny at only 4ml each. What do you think? Was it worth it? Do you have any polishes that you’re so blindly in love with that you’ll put up with whatever trouble they cause? 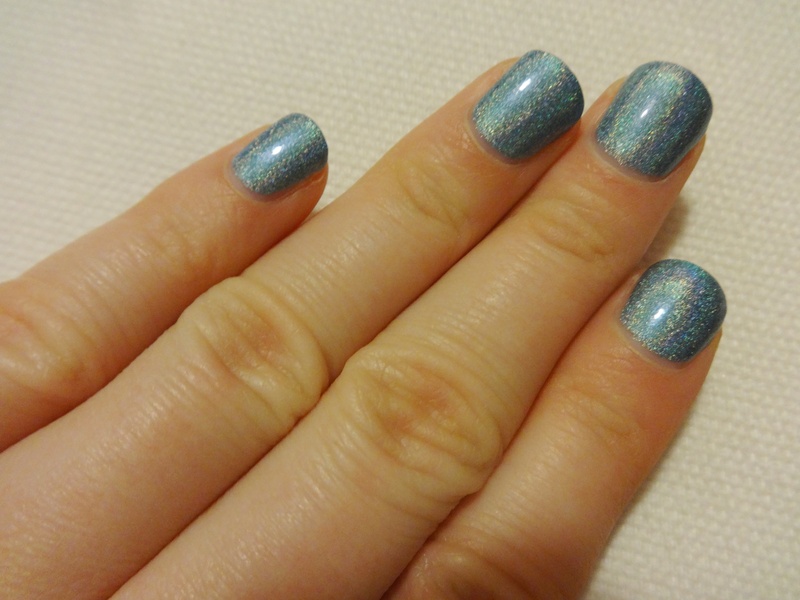 I didn’t pick up any of the polish when I was there in November, which is surprising for a polish junkie! (Although after reading your review it’s probably good that I didn’t.) What a disappointment!!! Is it too much to hope for that the full size is different? Probably so. Sigh.